Choosing the proper eCommerce platform can be challenging. Today’s market offers you thousands of options, one is better than another. To make your store highly profitable you have to pick the shopping cart that meets your initial needs, and along with it gives you the required functionality to develop. To relieve you of burden of choice, we prepared the top trending eCommerce platforms comparison: Shopify vs. Magento vs. WooCommerce vs. OpenCart vs. PrestaShop. Now we are going to assess 5 most popular platforms in the market based on 5 categories. Which one will appear the best choice for you? Read on to find out. Top 5 eCommerce platforms comparison | Which is the best eCommerce platform? 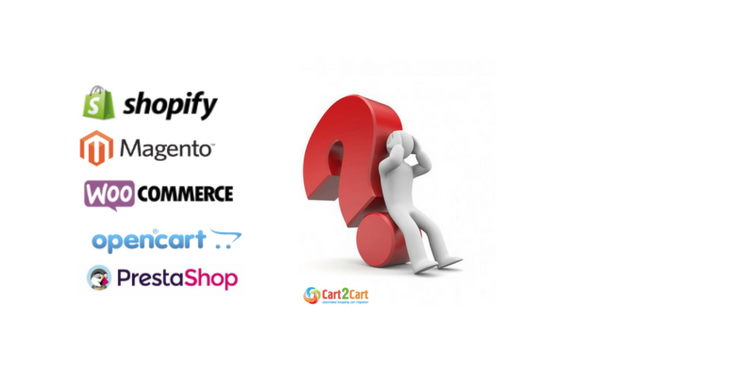 Let's start our eCommerce platforms comparison from Shopify - one of the industry leaders. Shopify is a hosted shopping cart. It means all the code issues are handled by Shopify, nevertheless, it provides you with full control over the coding of your site (HTML & CSS). Today Shopify is one of the best and most reliable eCommerce software that serves over 325,000 of businessmen worldwide. If you are looking to build a complex, still easy-to-use online web store to sell goods, Shopify is what you need. It is a ‘pure’ eCommerce builder. Being one of the most dynamically developing eCommerce solutions, Shopify is famous for implementation of groundbreaking and unique features first. For instance, recently Shopify has integrated with Amazon, now you can add the latter as a sales channel and sell products from Shopify Admin panel. Shopify is super user-friendly. It’s drag-and-drop interface, simple tools, easy theme editing will ensure a seamless user experience even to eCommerce newbie. Polished and stylish, Shopify admin panel is a good example to be followed by other eCommerce market's solutions. Talking about customers, their buying experience is seamless with uncomplicated steps to check out too. Shopify offers 14-day free trial, after you need to buy a monthly subscription, where the prices start from $29 for basic plan. It’s worth mentioning, that you have to pay the credit card rate - maximum is 2,9%+30 cents per purchase. The other option is to use online payments. You’ll pay nothing for transactions via Shopify payment system, yet you will need to pay up to 2% using external payment gateways e.g. PayPal. It's going to be a bit expensive to maintain a store, since monthly fees will scale up with the revenue growing proportionally. Shopify is highly SEO-optimized. It includes main needed SEO features in all plans: editable title tags, meta descriptions, pages URLs, ALT tags for images, customizable image file names, etc. According to research performed by ecommerce-platforms.com, Shopify SEO score is 98 out of 100. 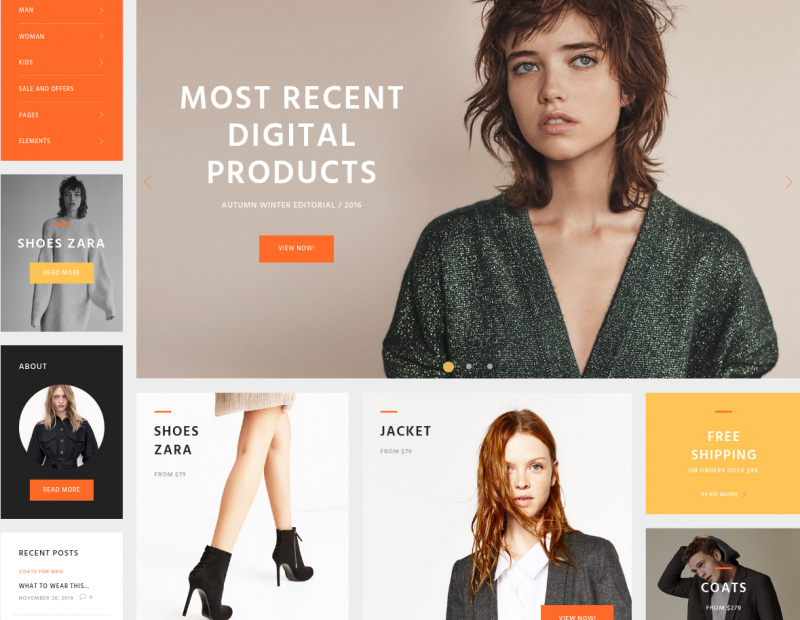 Shopify has a big, imagery theme store where you can find beautifully designed and responsive e-business templates. Still, because Shopify is a hosted shopping cart, you will have limited customization options. Currently, Shopify offers you 10 Free Website templates and the prices for paid themes start from $140. This is where Shopify is, definitely, among leaders. It offers 24/7 responsive customer support to its users. You can reach the support team via email, phone or live chat. If anything happens, you will be sure that someone is going to solve your issue. In addition, Shopify helps the merchants to maintain the platform in good shape through different guides and tuts available on the website. A newby in eCommerce? Let’s create Free 14-days trial Shopify store. Using another platform but want to run Shopify import? Perform an automated Free Demo migration to Shopify in just 30 min without delay. Next one in our shopping cart comparison list is a prominent open-source solution Magento. Magento is currently known as the most flexible eCommerce platform. Being literally a masterpiece of software craftsmanship, it offers nearly unlimited possibilities for tech-savvy store owners. Magento supports multiple currencies and tax rates per location, product type or customer group. It has the easy integration with different payment systems as Paypal (both companies are owned by Ebay). Magento comes with a professional look and well-organized categories. It offers the top-notch eCommerce functionality and lots of options to help you in building your ideal e-store. Everything is included in it from promotions to private sales and customer segmentation. As mentioned above, Magento is fully open-sourced platform with extended plug-in architecture. This eCommerce solution allows to modify the code how you need and extend with any custom features you want. Magento, unlike Shopify, is not so user-friendly. With the release of Magento 2.0 the platform became much more comprehensible, it's still a rather an obscure (roughly speaking) solution. Magento is not the best option for those who have only basic or limited tech knowledge, but if you choose it, be prepared to spend some time learning the basics of this platform. When it comes to pricing, Magento can offer two options. There is Magento CE (Community Edition), which is free for download and use, furthermore, you don’t need any monthly subscription. It is the perfect choice for small or medium sized businesses. Another option is Magento EE or the Enterprise Edition. It is ideal for large businesses and the price depends on the size of your business. To find out the specific price for your store, you have to contact with Magento specialists to request for a quote. Magento is free, but considering the fact that lots of the plugins are available for extra cost, you will have to fork out. Furthermore, you'll need to pay monthly fee to your hosting provider. Considering Magento's resource intensity, it won't cost you cheap, probably. Here Magento is among leading eCommerce platforms, because it is extremely SEO-optimized and offers extensive SEO functionality. That said, you need to be familiar with the optimization principles - nothing goes "preconfigured" with Magento. Lots of SEO settings are available in Magento out of the box. Among them are meta tags for products and home pages, images optimization, canonical tags for categories and products, edits of robot.txt files, etc. According to ecommerce-platforms.com research Magento SEO scores 95 out of 100, that is great result! Due to its popularity, Magento has wide range of templates. All of themes in Magento Marketplace are user friendly, customizable and responsive design to any devices.They look impressively attractive. Currently, there are 13 themes available for free on Magento Marketplace. You can find both free and paid templates.The prices for paid start from $29.00. By the way, you can get amazing free/paid Magento templates from other template marketplaces e.g.ThemeForest or Template Monster. Using open-source platform implies that you are familiar with many problems that can occur. Moreover, you can find the needed info on developer forums. Because of the free and open architecture nature, Magento CE users do not have access to official support services of platform. Thankfully, Magento has an extensive developer community. And nearly every platform-related question is already answered. However, users of paid Enterprise Edition, may count on Magento provided technical support. It will help to avoid searching answers in the infinity of community forum threads. Again, if you choose Magento, you need to take care of your personal or your developer’s capability to maintain the platform without official support. Though, Magento provides special free and paid educational courses, which could be helpful in understanding platform’s features better. Feelling tech-savvy enough to start online business with Magento? Sign up for Magento now. Feeling ready to perform Magento import and gain highest flexibility? Try out a Free Demo migration to Magento and have a look at your new store in less than 30 min. Now we will continue our eCommerce platforms comparison with the most popular eCommerce plugin out there - WooCommerce. WooCommerce is among world’s most respected shopping carts. It comes as a free plugin to Industry dominating content management system- WordPress. It is a perfect solution for those who want to build their own web store from the ground up or start selling products using their existing WordPress blog or website. 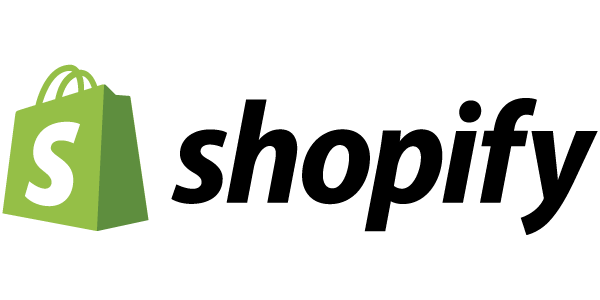 According to SimilarTech, nowadays WooCommerce is installed on 848,419 unique domains. WooCommerce is the extendable, adaptable open source solution. That means its code is freely available for you to view, modify, and contribute. 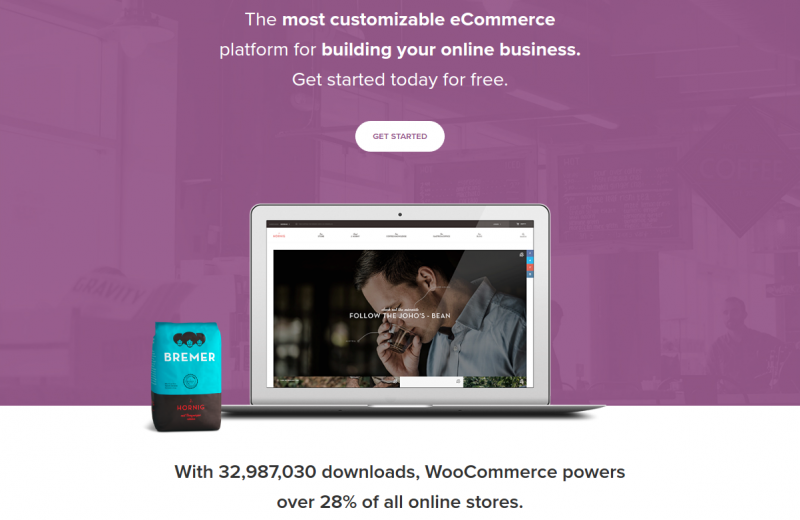 It makes WooCommerce a highly-flexible platform. WooCommerce has all of basic eCommerce features e.g numerous product types, payment gateways, delivery settings, tax control, stock tracking, coupon system, discount coupons etc. In addition, this platform is fully extendable both with WooCommerce native plugins and WordPress extensions and themes. WooCommerce itself offers a wide range of official extensions and templates, over 350, to be more precise. WooCommerce can boast of its high level of user-friendliness and ease of use on a daily basis.However, it’s a bit more challenging than Shopify, while setting a store. WooCommerce is a plugin, not a subscription-based solution like Shopify, which means that you need to handle a couple of things before you getting to work with WooCommerce itself. After all, WooCommerce is less complicated and easier in use than Magento. WooCommerce took care of that little hardship and the second thing you get after the plugin installed and activated - is the intuitive and powerful interface with onboarding wizard. It consists of five steps and takes you by the hand through every crucial element. WooCommerce is a free eCommerce plugin with free updates. But if you need more than just basic options, WooCommerce offers priced extensions for SEO, more payment gateways and and others. WooCommerce official extensions pricing starts from $29 per one. WooCommerce is totally SEO-friendly thanks to a wide range of customizations and access to a source code of your store. WooCommerce simply takes advantage of WordPress content integration, or what's available through third-party plugins. As a result, WooCommerce gives you extremely SEO-specific options. It is mostly due to the fact that WooCommerce is built on top of WordPress, which offers unlimited SEO potential. 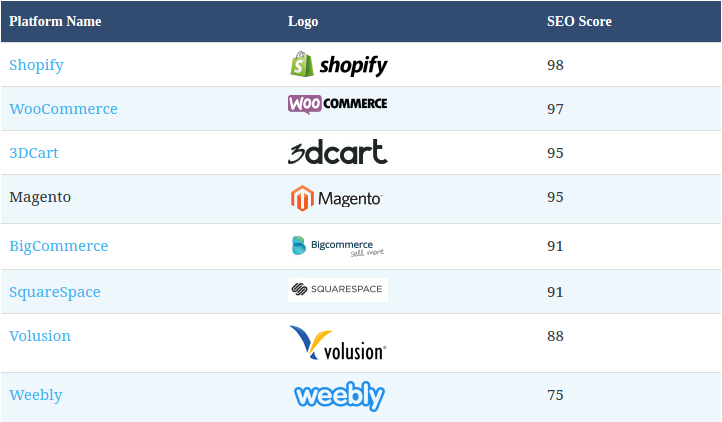 According to ecommerce-platforms.com WooCommerce SEO scores 97 out of 100. To be honest, WooCommerce has a serious advantage over Shopify and Magento when it comes to designs. What does it mean? Setting aside specific WooCommerce themes, you can make any WordPress theme work with your plugin. There are tens of those templates on the web. Therefore, in most cases, you are able to select any WordPress theme you want, and make it work together with WooCommerce. In addition, you can find beautiful templates in places like ThemeForest. There are thousands of Woo designs. The best option is to start your WooCommerce store from Woo’s own default online store theme called Storefront (available for free). 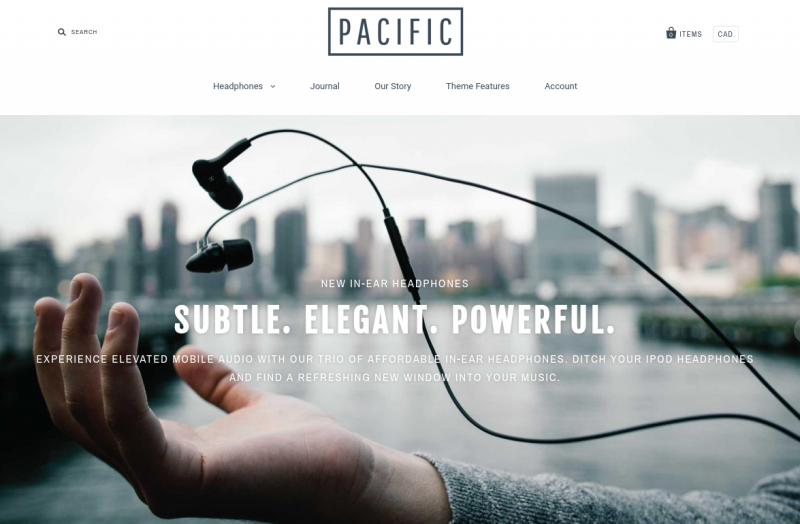 This theme is really efficient creation that puts focus on all important elements of an eCommerce store. It helps you sell more effectively. There is only some limited support from Automattic due to the plugin’s open system architecture. Similar to Magento, you can edit the source code and try to solve issues on your own or you can appeal to WordPress forums. However, WooCommerce enables you to “submit a support ticket” at WooCommerce.com and get support there. Just starting you e-business and want to try out this plugin? Sign up for WooCommerce in few clicks. Deeply impressed with WP plugin and want to launch WooCommerce import? Start a Free Demo migration to WooCommerce and meet your perfect match within 30 min. Next from top-5 in our eCommerce platforms comparison is OpenCart. OpenCart is free open-source platform and a perfect match for small / medium-sized businesses. This software is based on PHP, therefore any merchant would benefit from background in that programming language. OpenCart follows a core-extensions model, so if higher level of functionality is needed, you have to install some add-ons. Fortunately, OpenCart has enormous range of extensions, about 14,000. This shopping cart can boasts of impressive site speed thanks to running on AJAX technology. OpenCart is loaded with all basic functions user needs from eCommerce solution. What’s more, OpenCart multi-store function allows its users to manage and monitor multiple stores from a single Admin panel. In addition, OpenCart allows to have shopping cart facilities, upload unlimited products, categorize them, etc. We can’t but mention, that one of OpenCart main features is the ability of working with multiple languages and currencies. It makes this platform really great for market expansion. OpenCart is fairly user-friendly and effective platform which comes with a highly intuitive, well-designed interface. It’s easier than Magento, though a bit more difficult in use than WooCommerce. Quick OpenCart setup along with a responsive interface makes OpenCart an easy tool for non-tech savvy users and store owners. Even with limited technical knowledge, you can easily add, change or edit within OpenCart with no headaches. When it comes to open-source platforms, the word ‘free’ sounds tricky. Of course, OpenCart is free to download, use and even upgrade, however, it doesn’t mean that you will run your store with no charges. Taking into account that you are responsible for your hosting and security, basic expenses will include the domain name, hosting and SSL certificate. There is no doubt that you will have to spend a significant sum of money buying various extensions. If willing to start OpenCart with no downloading, there are two absolutely free demos offered. The first one shows how the Storefront looks like. The other provides access to Admin panel. When it comes to SEO, OpenCart is neither better nor worse than any other platform featured in our shopping cart comparison. It has all basic SEO features you'd expect from a high-end eCommerce solution and capable of getting your products into the tops of SERP pretty easily. Meta keywords and descriptions can be assigned to all product and category pages, as well as title and header tags. Additionally, OpenCart copes well with creating great SEO URLs out-of-the-box. Perhaps, even greater than it's implemented in WooCommerce. There's also a number of great plugins if you want to give your OpenCart SEO performance some extra boost. OpenCart offers plenty of professionally designed & responsive themes. There are tons of them available, both free and paid, capable of giving your store the very attractive look. Beside extensive OpenCart template store, there are plenty of them available on 3rd party resources, such as ThemeForest, Template Monster, etc. If not sure which one to pick, we recommend you to spend time playing with demo themes before purchasing any. Not like other open-source shopping carts, OpenCart got covered the support issue. And now it offers free Community and Dedicated commercial support. Fortunately, OpenCart forums are very active, and you don't need to pay. It’s easy find a developer or shopping cart representative willing to answer your questions. Dedicated Support offers two options: One-time fix and Monthly payment. Both cost $99. 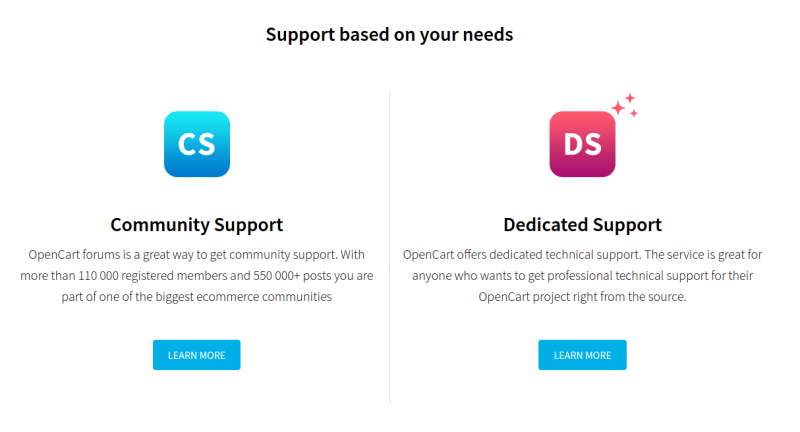 Details here: OpenCart support pricing. Willing to run your e-business with this platform? Perform a simple OpenCart start straightaway. Captivated with platform's features and want to perform OpenCart import right now? Switch your shopping cart to OpenCart by setting up a Free Demo migration. The last, not the least in our eCommerce platforms comparison list is PrestaShop - a proud owner of “Cutiest Logo Ever” award. PrestaShop is one of the market's leading shopping carts. It is a golden middle between the complex powerfulness of Magento and Shopify’s beautiful simplicity. Like all 4 open-source solutions in our list, PrestaShop takes the advantage of a freemium business model which means one main thing - it's free to download and use. PrestaShop software allows merchants to establish a completely customizable, up-to-date store in few minutes, with no license fees or revenue percentages that many platforms charge(sorry, Shopify, we still love you). According to official statistics, PrestaShop accounts more than 250,000 stores worldwide. It is worth mentioning that PrestaShop comes with 500+ features already built-in. They include all the basics that most merchants need to start online business. Unique features like Intelligent Merchant KPI and Forecasting make PrestaShop's statistical facilities even more impressive. By the way, PrestaShop offers you eCommerce Analytics to evaluate the traffic and make insightful decisions in order to increase customer conversions and grow audience. What is really awesome, PrestaShop has Ebay integration which allows you to export product listings straight to eBay, Amazon, Google Shopping and other popular marketplaces. Building a PrestaShop store from scratch is easy, even though it's down to user to find a reliable hosting and install the software itself. Once you’ve started running your store, the daily operations seem to be relatively simple thanks to an intuitive and throughout Admin panel. PrestaShop could be defined by two main elements: a customizable front office and a simple back office that’s easy to handle. All these makes PrestaShop very user-friendly. Also, internal functions of your store can be improved with tens of add-on modules. PrestaShop has a very sleek and modern dashboard, which provides quick access to all the needed store performance info and settings. Yet, due to an extensive feature set, we consider it to be less comprehensible than the one offered by WooCommerce or Shopify. Being an open source shopping cart, PrestaShop is completely free to download and use. But, that does not mean that this eCommerce solution is no-expence. As any other open-source solution, it requires a paid web hosting. Hosting fees can vary e.g PrestaShop promoted hosting partner 1&1, charges from $7,99 to $14,99 per month. There's no way you are going to build a functional store without purchasing several paid modules or a good looking template. PrestaShop has a great and versatile set of SEO features right out-of-the-box. You can edit each page, add high ranking meta tags and even make sure to generate SEO friendly URLs, that means your products can be easily recognized by search engines. All in all, PrestaShop gives you the ability to take advantage of URL rewrites, Google sitemap, canonical URLs and redirects and many other SEO features. On the PrestaShop Official Marketplace, PrestaShop offers over 1,500 templates. It has the vast selection of customizable eCommerce themes. All Prestashop templates are generally of high standard, and its various front-end features make shopping easy to a customer. It's also worth to mention, there are lots of templates developed by other 3d-parties. The pricing for PrestaShop certified partners templates starts from around $59,99. It is worth saying that PrestaShop has support, unlike other mentioned above open-source platforms, but it is paid. There are different plans with different levels of support, but the pricing is rather high. 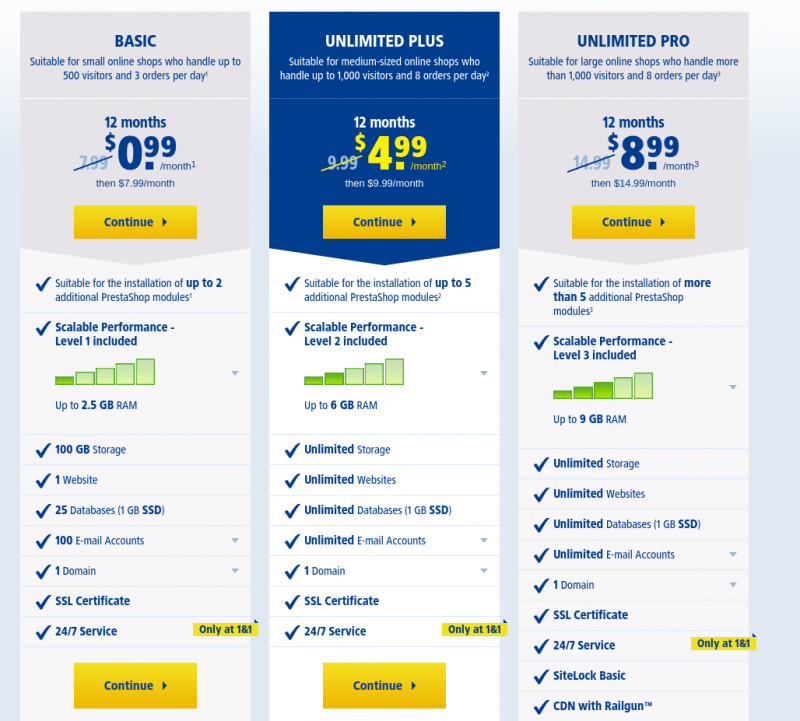 The least expensive plan is $249 per month for 3 hours of support, or $399 per year with a minimum 1 year subscription. And for this money, with the latter plan you get only 6 hours of support per year. Support is a complicated question when it comes to open-source software. Though PrestaShop possesses a diverse user community that comes together to solve problems via different forums and services, and you can always call upon some help with your store. Moreover, PrestaShop provides its users with expert and comprehensive training materials to ensure that you get the maximum of your online store. If you are new to eCommerce but want to create your free online store, start selling with PrestaShop from this moment. Selling via another platform but wish to execute PrestaShop import? Then try out Free Demo migration to PrestaShop and meet your new store in just 30 min. In conclusion, it is worth saying that all mentioned shopping carts in our eCommmerce platforms comparison have lots of similar and different stunning features they can proudly boast of. If this post helped you to find the eCommerce solution that matches your targets and expectations that means we were striving not for nothing. In case you feel that your current platform is preferably be changed for one of the 5-top listed, you can use Cart2Cart automated shopping cart migration service for an easy switch. Cart2Cart service is the leader in the market and performed more than 30 000 of successful migrations. It supports the widest range of transferable entities and offers you many additional options. Cart2Cart automated tool will swiftly migrate your eCommerce data e.g. product, orders, customers, categories from your current shopping cart to one of listed. The migration process is remarkably swift and secure. There is absolutely no need to worry about your e-business performance, because your store will be uptime during the whole migration process, which will last no longer than few hours. In case, some questions will still occur, you can always contact our 24/7 support team , which is always there to help you. Are you ready to switch your platform for a better solution right now? Take your chance with no risks and perform a Free Demo migration to your perfect match. 20 thoughts on "ECommerce Platforms Comparison 2018: Shopify vs Magento vs WooCommerce vs OpenCart vs PrestaShop"
Thanks for these kind words, our gratitude knows no bounds. Keep in touch! Your post is really good. You have compared all the major players in the industry as others do. I have a different opinion that why don’t you compare new players in the market who are also doing good at their works. Thank’s a lot for your expiring words! Please, accept the warmest wishes from the whole Cart2Cart team. We’ll take into account all your recommendations. And don’t forget to share the posts you like most of all. Keep in touch! Nice article to get a quick general overview. Only thing I’m missing, to deduce decide to further research a platform, would be a little section addressing a developer’s perspective, e.g. coding paradigm, architectural pattern, how easy/difficult it is to create custom templates and plugins, whether there is a user management system, does it have API to use with mobile apps, etc. A million thanks for leaving a comment! We’re very happy to know you appreciate your writings. Also thanks for your advice, our team will take it into account. Hope to hear from you soon! Thanks for this post. Nice comparison of ecommerce platforms. Your writing is also good. We can define here our e-commerce platforms to make an e-commerce portal. 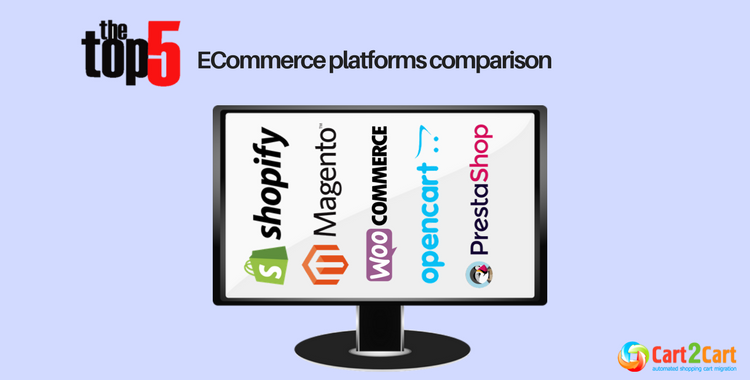 Here are a fresh comparison of all eCommerce platforms so that we can choose a better platform. Thank you very much for the positive commentary! We are happy you like this article. Our blog is full of similar posts. You are welcome to read other items! And don’ forget to share which you like the most. Hi, Adi! Thank you a lot for your feedback. We would be glad to hear from you more. Thank you for the detailed comparison! Is there any reason why you didn’t mention Ecwid E-commerce? Ecwid has all the features of the other platforms you mentioned but there’s a free plan while others have free trials. Hello, Kate! Thank you for the question. This article includes top trending eCommerce platforms comparison, but your remark about Ecwid is very inspiring for us. We`ll take into consideration your proposition. Hope to hear from you more! Thank you for the inspiring words! We work hard to make our post informative and helpful for our readers. Hope you find other articles great as well. Don’t forget to share the ones you think are the best. Nice, comprehensive report on ecommerse platforms. Interesting to notice is the engagement of the big players in this market segment. Hello Frans, thanks for the commentary. Indeed, it is very interesting to observe how each platform tries to overdo the competitors and to offer the best functionality. Hope to get more feedback from you! When we google for product comparisons, we’d like to see a table or a grid of different features aligned next to each other. Time is money, and we ain’t got time for reading lengthy blog posts. We appreciate your opinion and agree about the grid of the capabilities. However, some of the readers, especially the newbies, prefer to read detailed information about the online shopping carts to make sure they choose the most suitable e-store for their business. That’s one of the reasons our team prepare such kind of the articles. In case you want to check a short overview, you can always explore the info on the bottom line. It is hard to recommend what platform can be the best fit for your company. Depending on the business specific requirements like the organization’s size, budget, SEO demands, etc., you should analyze the goals and select the most suitable solution. In case you want to learn more information on how to find the dream platform, check out an article “Choosing an Ecommerce Platform: Crucial Questionnaire” https://www.shopping-cart-migration.com/blog/61-must-know-tips/choosing-ecommerce-platform-crucial-questionnaire for the useful insights. Let us know your opinion on the piece.